I usually pick at least one track from DJ’s when they come through our event called 24 Hours of Vinyl, always an amazing way to discover track you had no idea existed. Finding which one to pick from Poirier‘s set is pretty damn hard because even though he played the shortest set (1 hour) from the entire lineup he definitely killed it at our first edition! 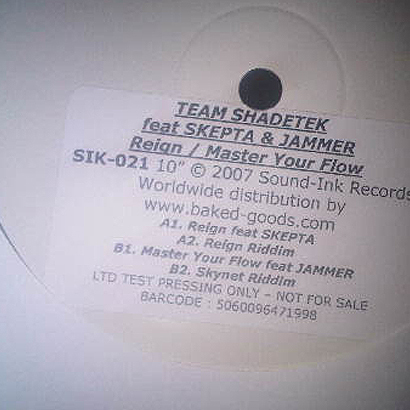 He brought all kinds of white labels, dubplates and promos given by friends. Poirier decided to play the instrumental version called the “Reign Riddim” and had all the DJ’s at my place wanting to break something! A strong candidate for one of the heaviest snares of alllll-time! It sounds like a baseball bat hitting a pan, recorded through a megaphone! Future Classic: Tomato Jonez "Penny Hardaway Tape & more..."